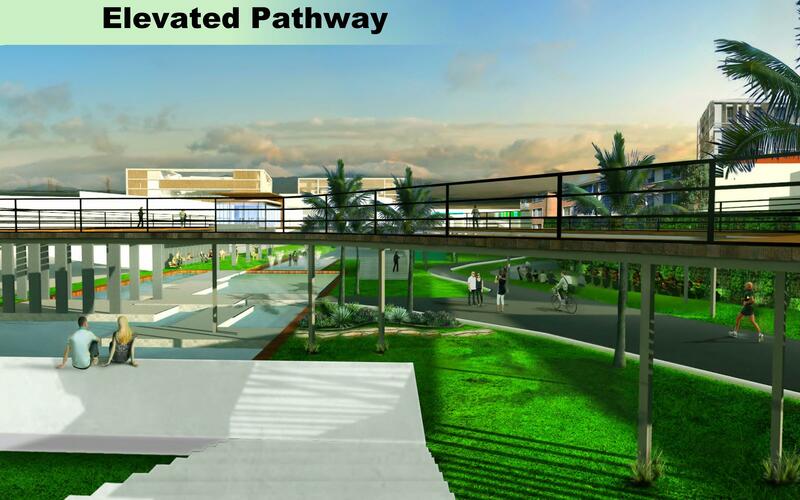 This is a visual representation of one of three proposals for the lower campus/quarry area of the University of Hawai'i Manoa. In this iteration, imagine an elevated walkway above ground level that would connect with a rail station. Shops, food and activities would draw students to the area for recreation and perhaps even housing. 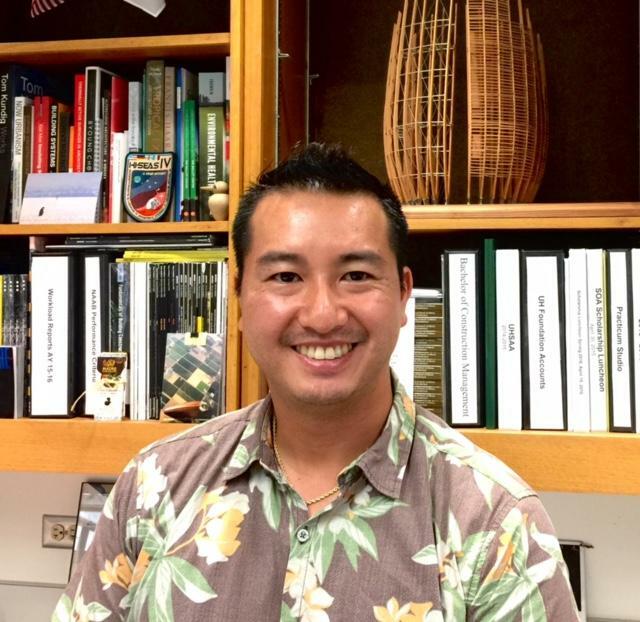 Architect Chris Hong, Vice-President of Redmont Group, was the first Hawai‘i architect to win the National American Institute of Architects Young Architect Award. 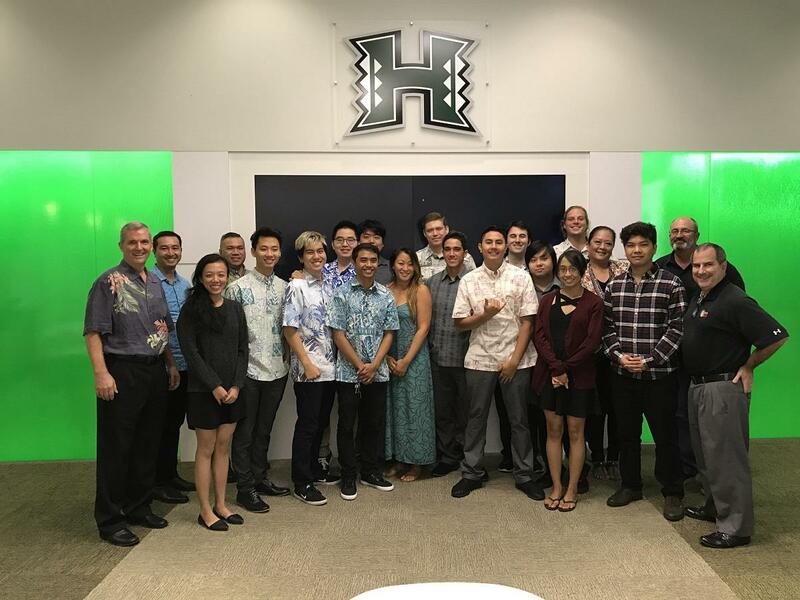 He taught the 4th year design concentration studio that generated three proof of concept proposals for the area around the UH Manoa Athletic Department. A conversation about student proposals for a redesign of the UH Manoa lower campus. Those are not just rhetorical questions for architect Chris Hong, who led a University of Hawai‘i architecture student project to re-imagine that vast parched acreage around the parking structure and Stan Sheriff Center. Actually these are just a few of the questions students found themselves asking. One idea proposed moving the Duke Kahanamoku Aquatic Center more towards the mauka Diamond Head area. 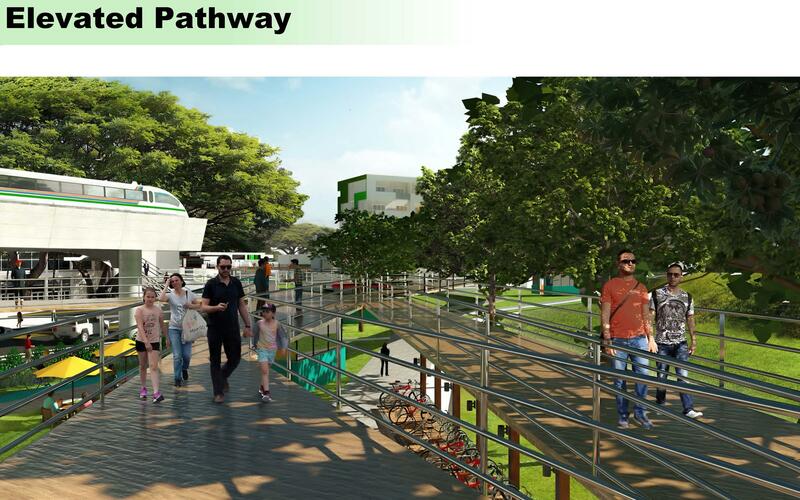 This depiction of an elevated pathway on the lower campus shows its connection to a future rail station. 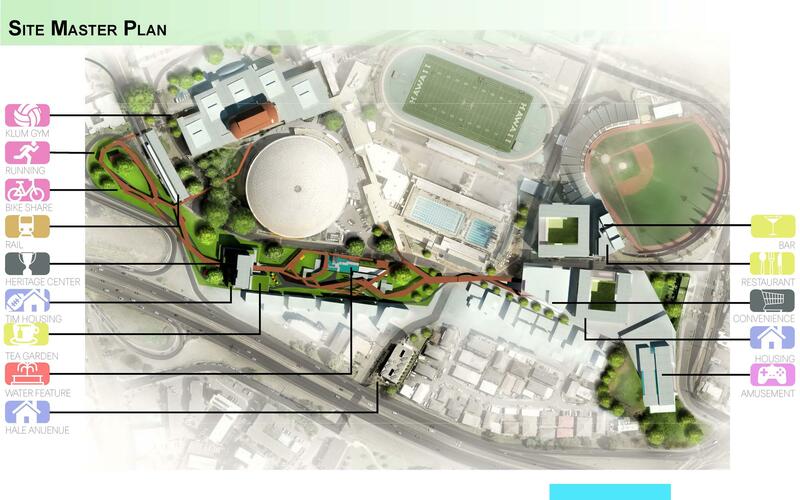 One student proposal included enhanced sports and recreational facilities in the lower campus including rugby, soccer, football and other activities. Currently most students blitz in then take off. We don’t have a college town area. 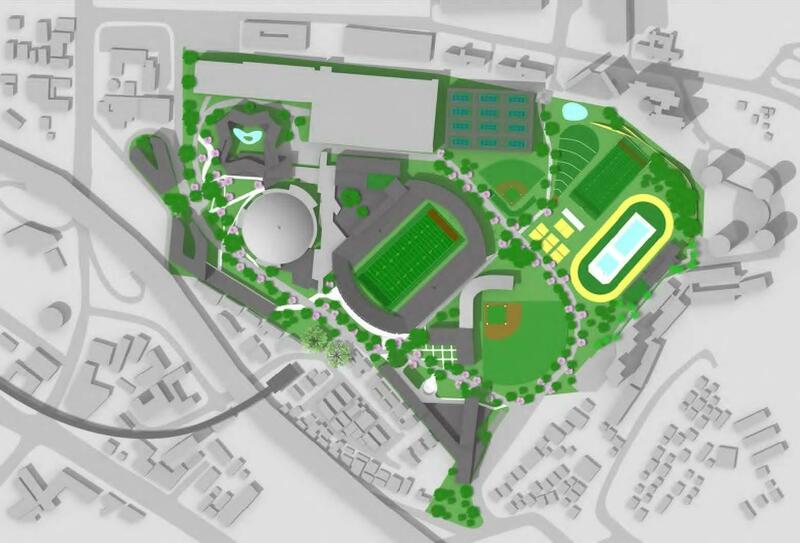 This plan included a new Klum Plaza, a fitness center with different activities like yoga and parkour, a hotel, apartments, and a student union. 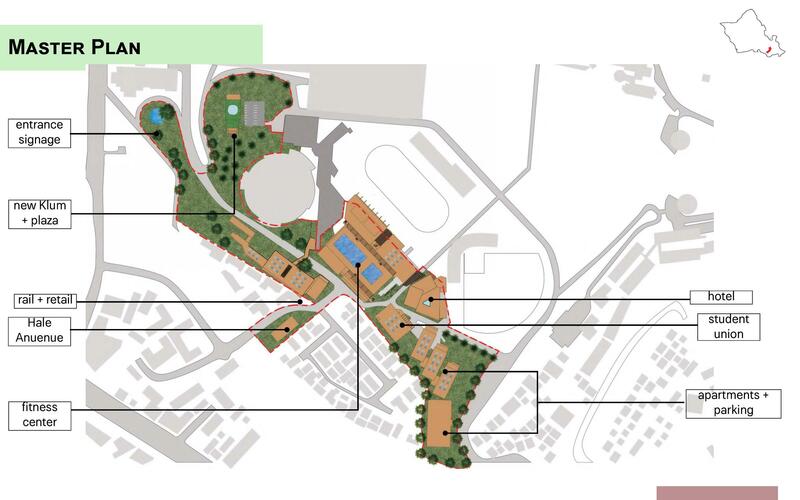 This proposal includes the rail stop, a heritage center, a tea garden, restaurant, and housing. How those boundaries got pushed is another part of the story. Many in other disciplines have no idea of the work ethic involved in architecture schools. It's intense, and highly competitive. Normally 4th year architecture students are bent on competitive, perhaps purely speculative, individual projects. Here, they were asked to work in teams, on designs that had to meet structural, fiscal, social and other specifications. They had to develop their own guidelines! That perspective makes building design very much a community design process, the topic of an upcoming symposium, Building Voices, set for Earth Day at the state capitol. It's sponsored by the UH Manoa School of Architecture. More on that soon.